This week we’ve been making these cute whales from cardboard egg cartons. 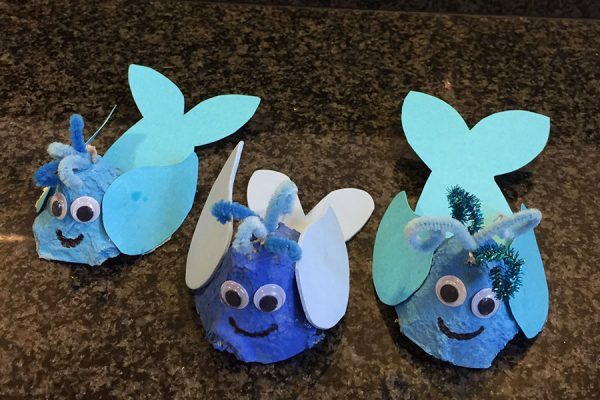 They’re very easy to make and would make a great craft alongside Julia Donaldson’s The Snail and The Whale. Start by cutting your egg carton into individual sections. Paint each section with your blue paint and let it dry completely. We used different coloured blue paints for variety. Next using the sharp knife (for adult use only) cut an X at the top of the egg carton piece so that you can thread your pipe cleaners through. 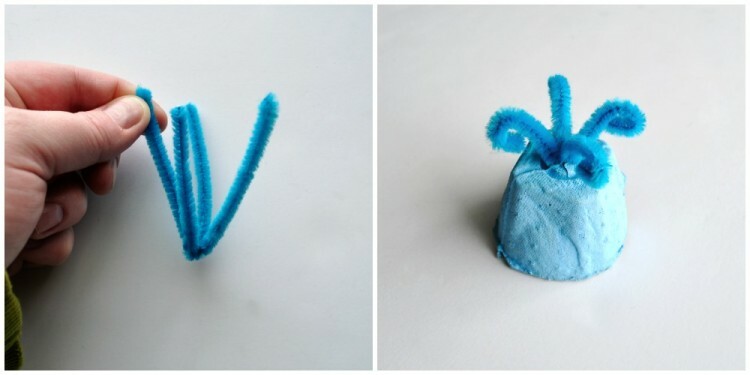 Cut your pipe cleaner in half and bend each of those sections in half. Intertwine them all together. Pinch the pipe cleaner pieces together and push them through the X at the top of the egg carton leaving the intertwined section inside the egg carton. Bend the ends of the pipe cleaner over to make it look like water blowing out of the whale. 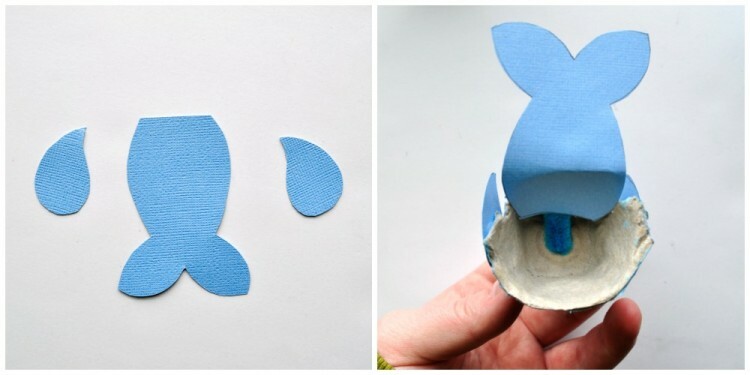 Cut a whale tail and fins out of your blue card or paper. (We used blue foam too which worked well). 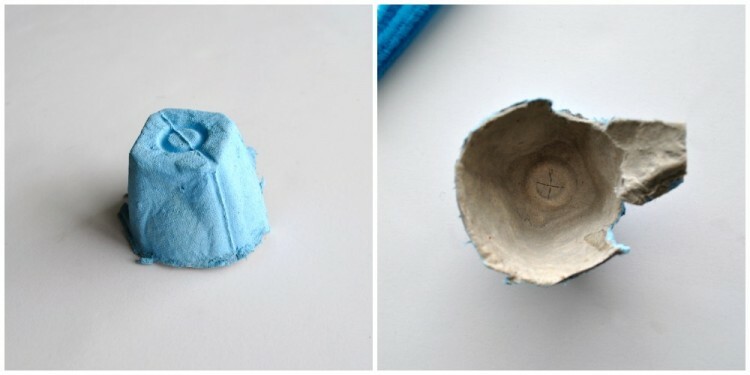 Use the pva glue to glue them to the egg carton. We put some glue on the inside of the egg carton and tucked the tail up inside the egg carton. Finish your whale by gluing on some googly eyes and drawing on a mouth with your black marker. Voila!